My sister bought the soundtrack to The Great Gatsby, which she conveniently left in my car! Now it's mine foreverrrrrrr!! 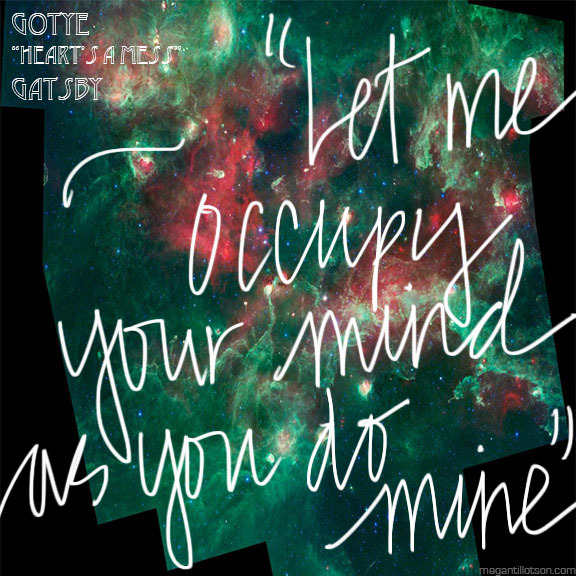 Loving track #11 by Gotye, "Heart's A Mess" and of course Lana Del Ray's "Young & Beautiful" (#5 on the cd). There are so many good quotes on that soundtrack that I could write out and turn into posters. Need to see it again in 3D!